You know what I would like to do? I'd like to here what folk would like Covenstead to be. I'd like to hear the dreaming, and as the dreaming happens I like to see the parts that we think are good added up to the story here. 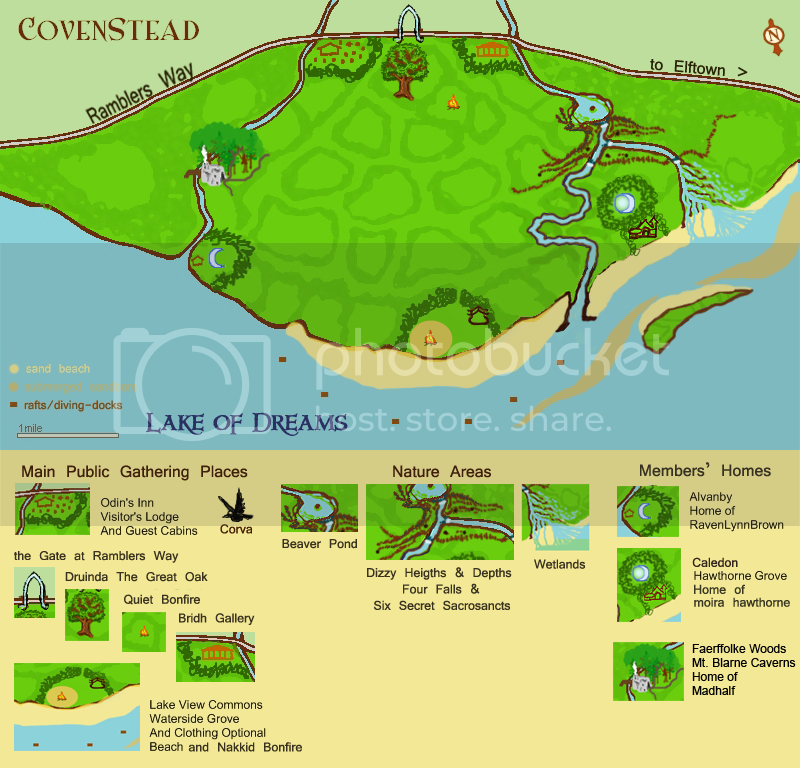 How I'd love to start is by collecting people imaginings about Covenstead. We've already got a good start. With [moira hawthorne] guiding us we already have a wonderful start on the map. I doesn't matter what they are if they are drawings, photo's, songs, stories, poems, sculpture, or any other media, as long as you have a way to get it into Covenstead. I'd just like to see us sharing our imaginings in whatever form they choose to take.